Pocket Sinfonia are reinterpreting orchestral masterpieces with the fresh spontaneity and intimacy of a chamber ensemble. The core group is a quartet made up of Rosie Bowker, Eleanor Corr, George Ross, and Emil Duncumb, who have performed at venues including Wigmore Hall, Kings Place, Buckingham Palace, St Martin-in-the-Fields, Oslo Konserthus, Gamle Logen and the Sage Gateshead together with broadcasts on BBC Radio 3. 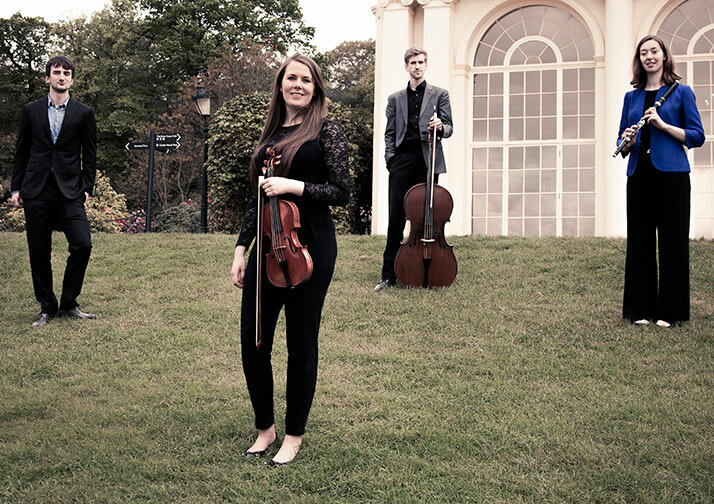 Their programme will include Prokofiev’s Classical Symphony, Stravinsky’s Suite Italienne, Martinu’s Madrigal Sonata (violin, flute, piano) and Grieg’s Holberg Suite.